Stock # 11498, 3.5L V6 EFI DOHC 24V, 8-Speed Automatic, 11 mi. Beautiful Pearl White exterior with deep tinted windows pairs well with the soft cream & gray interior on this 2019 Toyota Sienna Limited Premium. Converted by Vantage Mobility (VMI) with an automatic 30" in-floor ramp. Plenty of rear storage, third-row bench for extra passengers, moonroof, touchscreen display, steering wheel controls, and tri-climate controls for maximum comfort. 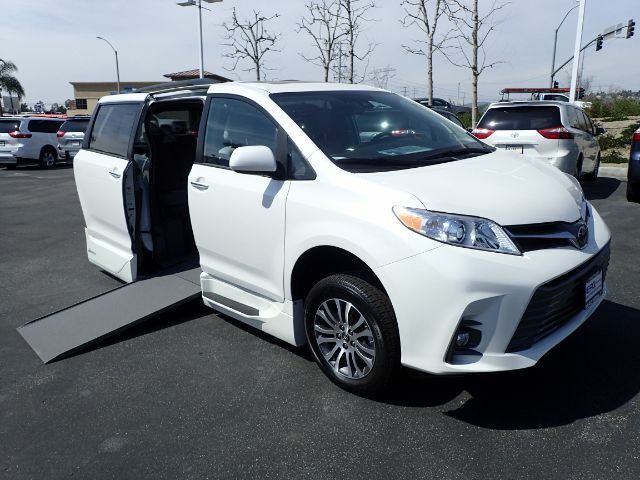 Call (877) 325-4000 to learn more about this accessible vehicle.